PRINCESS LEARNING HOW TO BE AROUND DOGS. SHE HAS SO MUCH POTENTIAL WITH THE RIGHT OWNER. MEET PRINCESS! 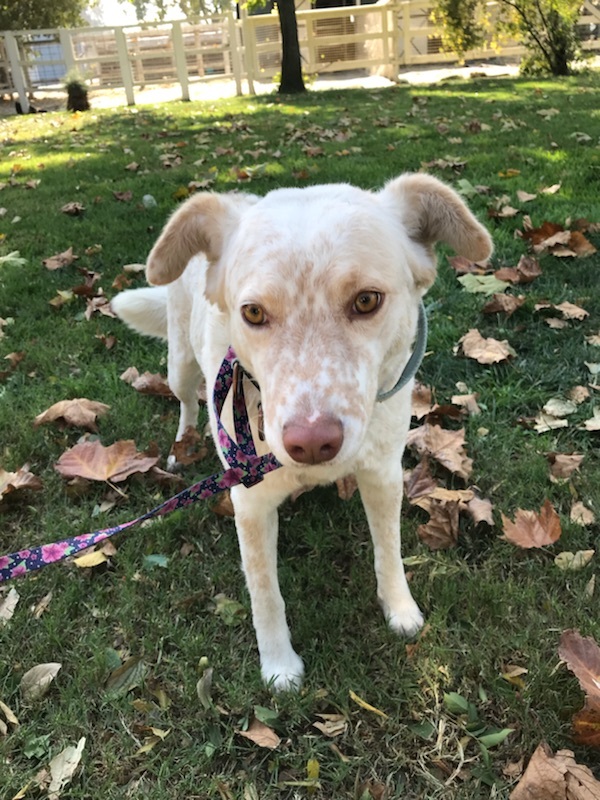 A gorgeous, young 2 yr Cattle Dog/ (Chesapeake Retriever, Chow, or Spaniel mix), who was rescued from the Tulare Shelter in Central Valley. HOUSETRAINED, EAGER TO PLEASE, TREAT MOTIVATED, SMART, LOYAL. Dogs: Princess needs slow, supervised intros with dogs. If a dog is reactive, she will react. With friendly dogs she has done well but still needs guidance. She is responsive to “Leave it" and easily correctable on leash with a savvy owner/handler. Cats: Princess needs slow supervised intros to cats with a potential to live with cats over time with training. Kids: Due to some handling sensitivities with strangers/new people Princess should be in an adult only home. Behavioral Cues: Knows sit, down, stay, roll over, leave it & is ready to learn more. Princess walks best on a slip lead. Housetrained: Princess is housetrained; Fine being left alone in the home for a few hours without destruction. Exercise needs: Princess would benefit from a combination of physical and mental activity every day. A long walk in the morning, followed by quick (5 minute) training sessions sprinkled in the day, food puzzles, Kongs, followed by an evening outing that includes a structured walk (heeling) and or running/jogging/hiking. 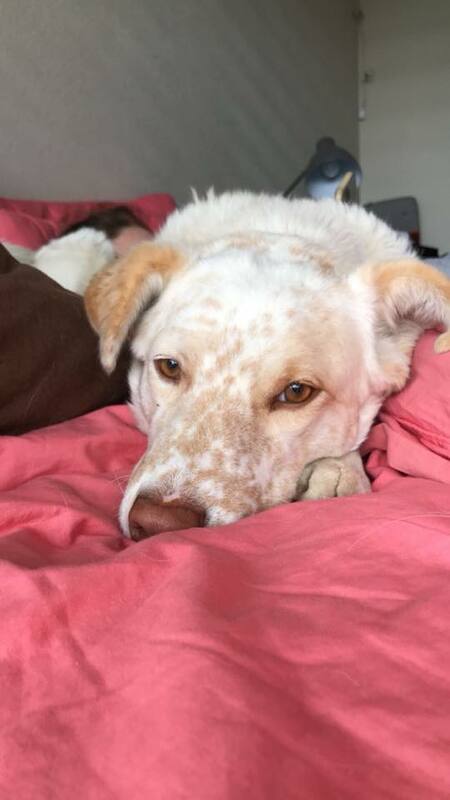 Fears: Princess was nervous around fast moving objects (bikes, skateboards), but has become a little more desensitized to them and will need continued exposure to the world where everything is fairly new to her. She needs to continue to build confidence and trust in her new home and with her new owners. Additionally, Princess has some handling sensitivity/hand shyness with new people, but loves cuddling with the people she trusts. 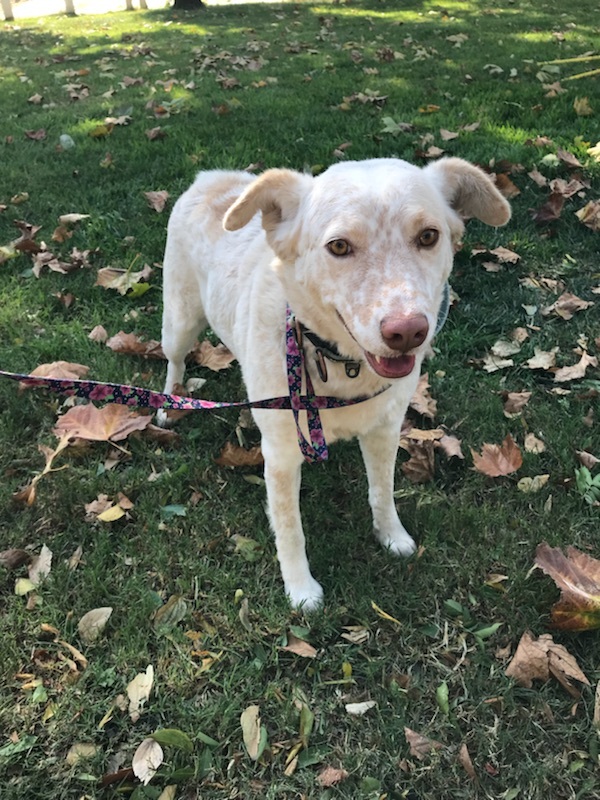 Origin: Princess was surrendered by her former owners due to “no time”, and she had lived her former life as a backyard-only dog with little time given to her. Other: Travels well in the car. Does not bark excessively. Would benefit from positive crate training to give her a safe space if/when she needs it. Current Location: Princess is being fostered in West Davis with 4 UCD students in an apartment setting. Ideal home: You are — moderately active, experienced with dogs & confident with under confident animals. 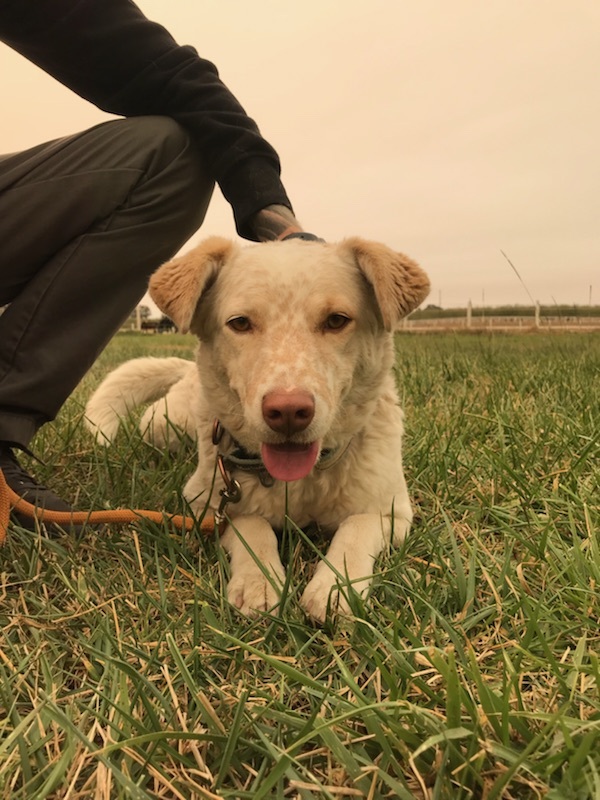 You are eager to continue with training, structure and will take ownership actively (vs passively) to continue her training plan, positive exposure to new things, and her socialization with other dogs. You would be able to provide companionship & preferably have a yard though not required. Bio: Princess is very responsive to direction, eager to please, and treat motivated. She bonds strongly and would do best with a confident couple who will give her direction, and structure. She is a quick learner and knows sit, come, down, stay, roll over. 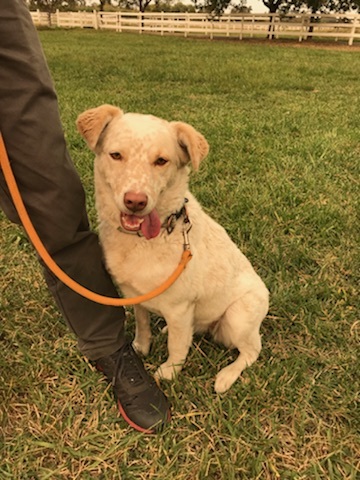 Princess arrived to our program very under socialized with dogs; her uncertainty can lead to fear-based reaction but she has also done well with friendly dogs. She will need an owner who will continue to work with her comfortability around other dogs. A generous donor has offered to help pay costs towards training classes for Princess! 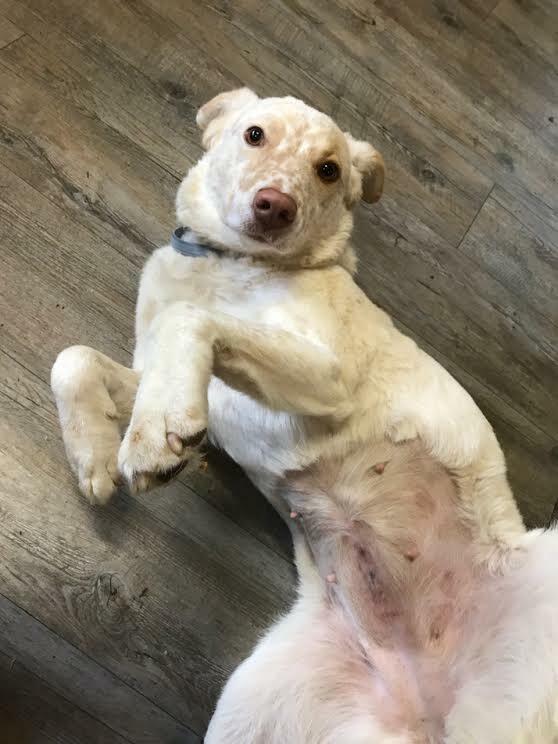 $250 adoption donation. Princess is spayed, vaccinated (DHPP, Rabies, Bordatella), microchipped and monthly preventatives (flea medicine and heart guard). 40 lbs, 1.5-2 yrs.